“Science for Art: pleasures of astonishing beauty. 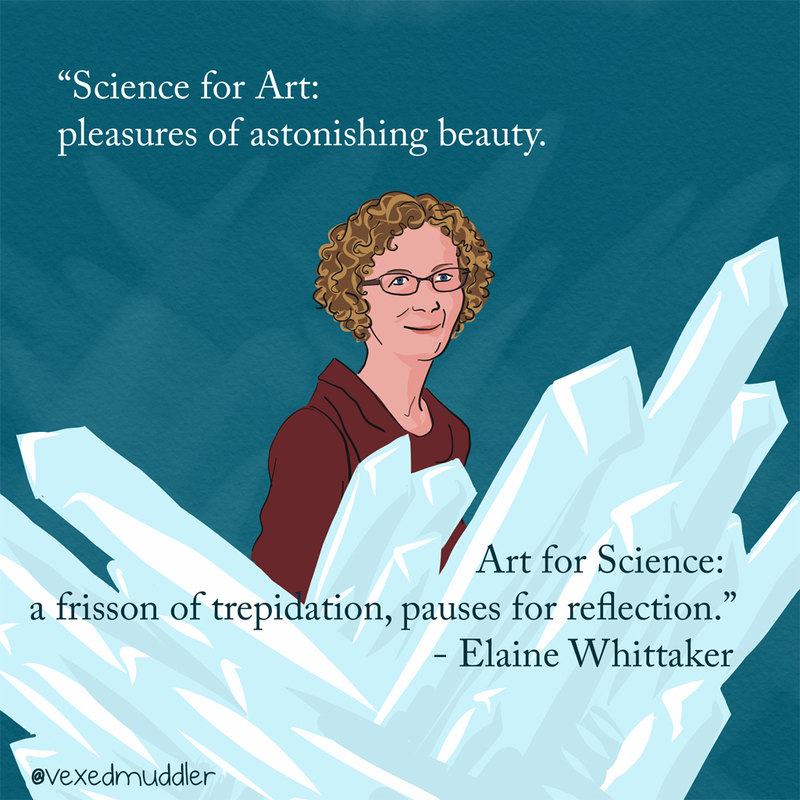 Art for Science: a frisson of trepidation, pauses for reflection.” – Elaine Whittaker, artist. Originally posted on September 19, 2016.